In today's fast-moving technological landscape, business owners and professionals need to find a way to adapt and adjust to digital developments. 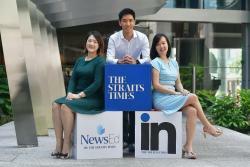 Yesterday, more than a dozen people did just that at The Straits Times' Digital Strategy Course. 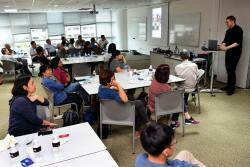 The eight-hour course at the Singapore Press Holdings (SPH) News Centre was attended by 16 participants from small and medium-sized enterprises (SMEs) and schools. They include Gex Ventures, Irvins Salted Egg and Ngee Ann Polytechnic. Participants learnt digital skills such as how to use transaction data to give their businesses a boost, how to budget for a digital product - such as a website - and create awareness among potential customers about their businesses. 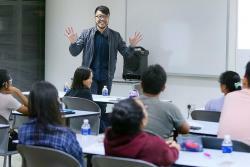 The course was jointly conducted by Mr Azhar Kasman, editor of citizen journalism website Stomp, and Mr Navjot Pawera, director and head of design at Buuuk, a Singapore-based tech studio. Mr Azhar said he hoped the course helped participants have a better understanding of what a digital strategy entails. "It's not just about creating a website or an app, or being on social media," he said. "You need to be open to changing the way you work, adopting new technologies, putting your audience first, and knowing what types of content best suit your target audience and where to deliver them." The course consisted of a blend of exercises, talks and group work. During one of the sessions, Mr Azhar shared the pros and cons of different social media platforms, and dispelled misconceptions on how to use social media to enhance one's business. 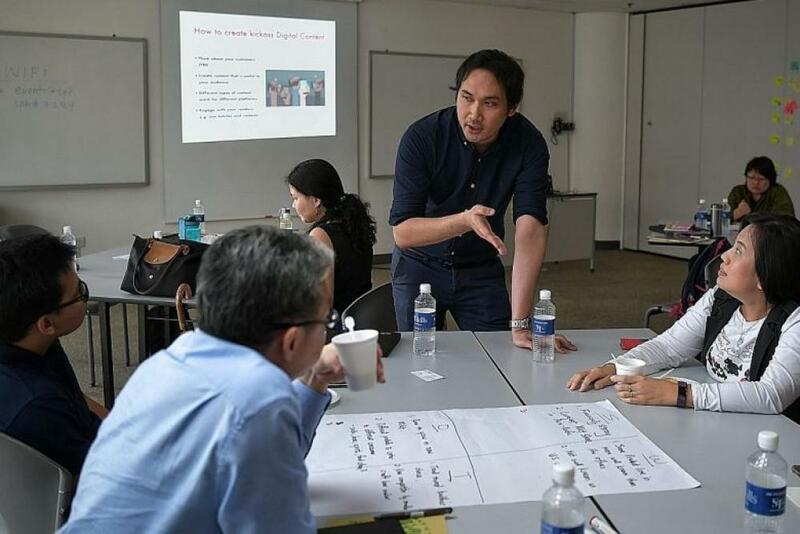 Mr Joey Chow, 38, an IT specialist at Swagelok Singapore, said he attended the course to find new ways to help his company plan its digital transformation. He said his biggest takeaway from the course was the importance of learning to map how a user experiences a digital product from when he starts using it to the time he finishes. "Any solution is supposed to cater to the user experience. There's no point in giving users something they can't use," he said. Mr Eldrid Tan, 25, a product and brand development senior executive at Irvins Salted Egg, said he found the course useful as his company was always trying to launch new products, and he felt that having a proper digital strategy would help with that. "Irvins is moving from a start-up phase to an SME phase, so having a digital framework will help our team be more organised when making the transition," he said.